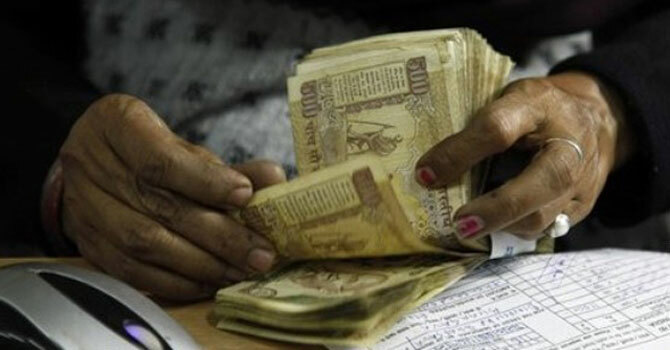 Remittances, mostly from the United Arab Emirates, saw a 10 per cent jump in March, compared to February, with non-resident Indians betting on a stronger rupee in the event of the Bharatiya Janata Party’s Narendra Modi becoming prime minister. Major banks in the UAE such as Emirates NBD, ADCB and Ras-Al-Khaimah Bank are luring NRIs with lucrative personal loans. Image: A man begs outside a currency exchange shop in New Delhi. The average interest rate on loans in the United Arab Emirates ranges between five and six per cent. 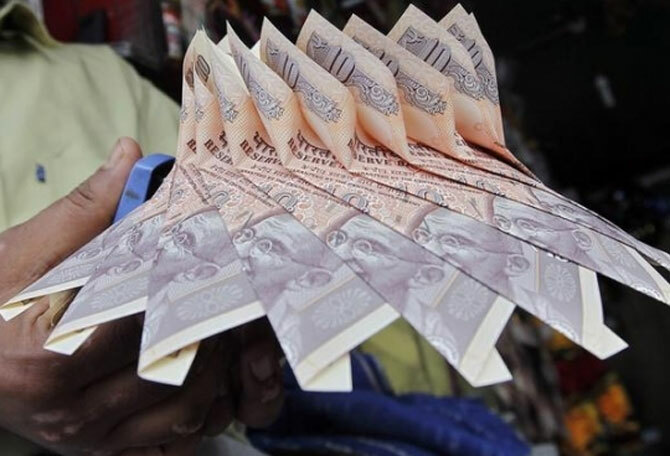 Fuelling the rise in remittances are comments from experts such as Adam Gilmour, Citigroup’s head of Asia-Pacific currency and derivatives cell, who says a victory for the BJP may result in the rupee rising as much as 35 per cent against the dollar. The World Bank estimates $71 billion of remittance flowed into India in 2013, compared with $67.3 billion a year earlier. 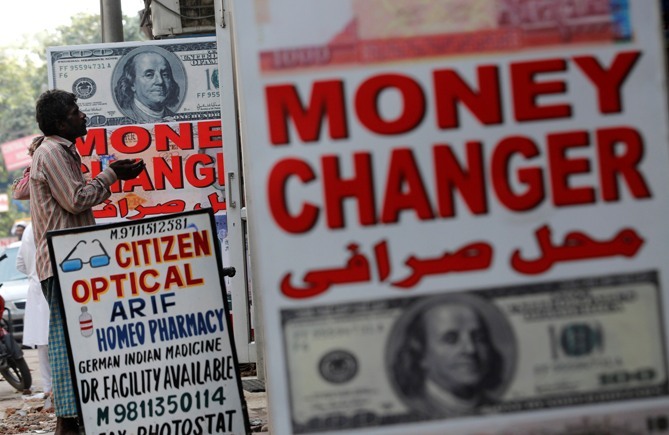 Experts feel remittances may touch $75 billion this year, with some saying there will be no impact of further rupee appreciation on inflows. Image: The World Bank estimates $71 billion of remittance flowed into India in 2013, compared with $67.3 billion a year earlier. 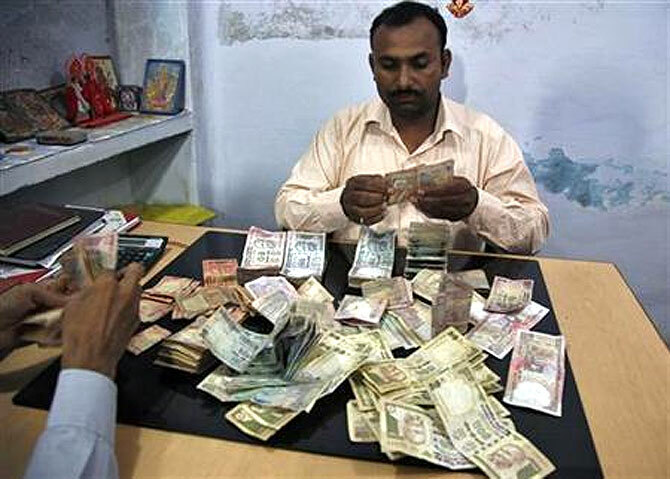 “Remittances will continue to rise even if the rupee gains. "Many expats are sending money home, as the exchange rate is still considered attractive,” said Param Sarma, director and chief executive of NSP Treasury Risk Management Services. In the quarter ended March this year, the rupee posted a gain of 3.1 per cent, as foreign investors bought heavily into Indian equities and debt. 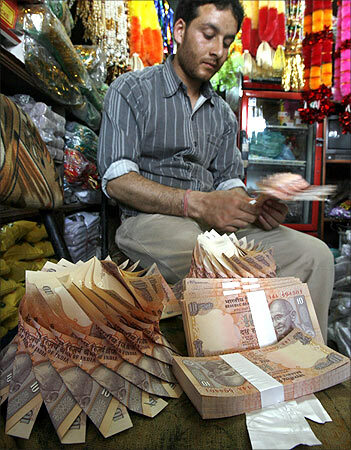 On Friday, the rupee closed at 60.08/dollar, down 0.14 per cent. “March has been a good month for remittances. The belief here is if India gets a stable government, the currency will gain,” said Promoth Manghat, vice-president (global operations), UAE Exchange. Image: In the quarter ended March this year, the rupee posted a gain of 3.1 per cent, as foreign investors bought heavily into Indian equities and debt. The Reserve Bank of India data show in the quarter ended December 2013, gross private transfer receipts stood at $17.3 billion, an increase of 4.8 per cent from a year earlier. Bankers say a large part of these transfers are remittances. “The growth in remittance has been constant, with India being one of the biggest receiving terminals. “This will continue,” said Kiran Shetty, managing director at Western Union India. A recent media report had quoted Reserve Bank of India Governor Raghuram Rajan as saying at 55/dollar, the rupee would probably be ‘too strong’ and, at 50/dollar, it might hurt exports. Image: A recent media report had quoted RBI Governor Raghuram Rajan as saying at 55/dollar, the rupee would probably be 'too strong' and, at 50/dollar, it might hurt exports. 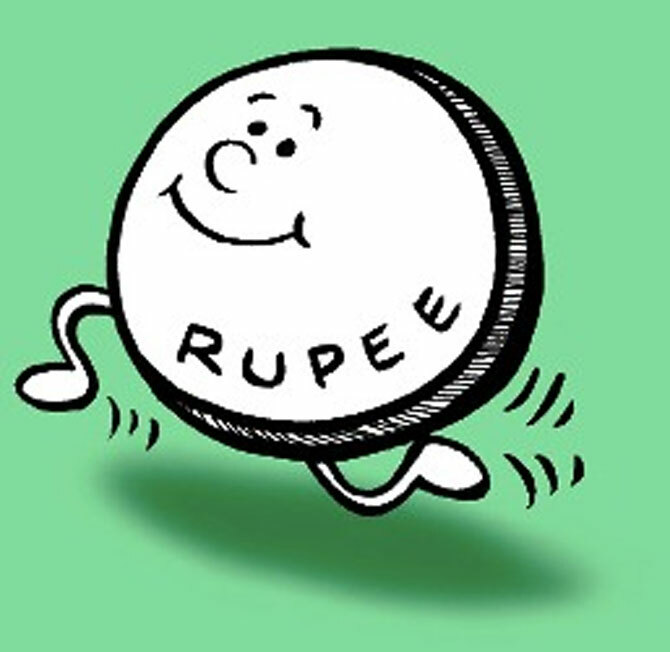 “We do not have a level for the rupee in mind. "We do worry about potential volatility, both immediate, as exchange rates move substantially in short periods, and also likely volatility, if we believe the exchange rate either hits too low or too high a value . . .
“So, our primary attempt is to reduce exchange rate volatility, and that is where our exchange intervention goes,” Rajan had said during a conference call with researchers and analysts after the central bank’s credit policy meeting earlier this month. Image: The Reserve Bank of India data show in the quarter ended December 2013, gross private transfer receipts stood at $17.3 billion. Image: The remittances, mostly from the UAE, rose 10% in March. Can Modi rescue the Indian economy?